Hanover, 08 September 2015. From 6 to 9 October, the doors will open in Munich for the inter airport Europe, the leading international trade fair for the airport sector. With a joint appearance from the two business divisions, Continental Commercial Specialty Tires (CST) und Continental Truck Tires, German premium tire manufacturer Continental will also be there as an exhibitor, showcasing its extensive range of tires for ground handling at international air transport hubs. At their booth the two business division will present tires for vehicles used in passenger and aircraft handling. In addition they will introduce the new ContiFlexBox telematics solution for specialty tires as well as the field-proven ContiPressureCheck™ tire pressure monitoring system for specialty and commercial vehicle tires. These two innovative products make a significant contribution towards enhancing the efficiency and safety levels of vehicle fleets in ground-handling operations. Trade visitors will find Continental on Stand 1442 in Hall B5. 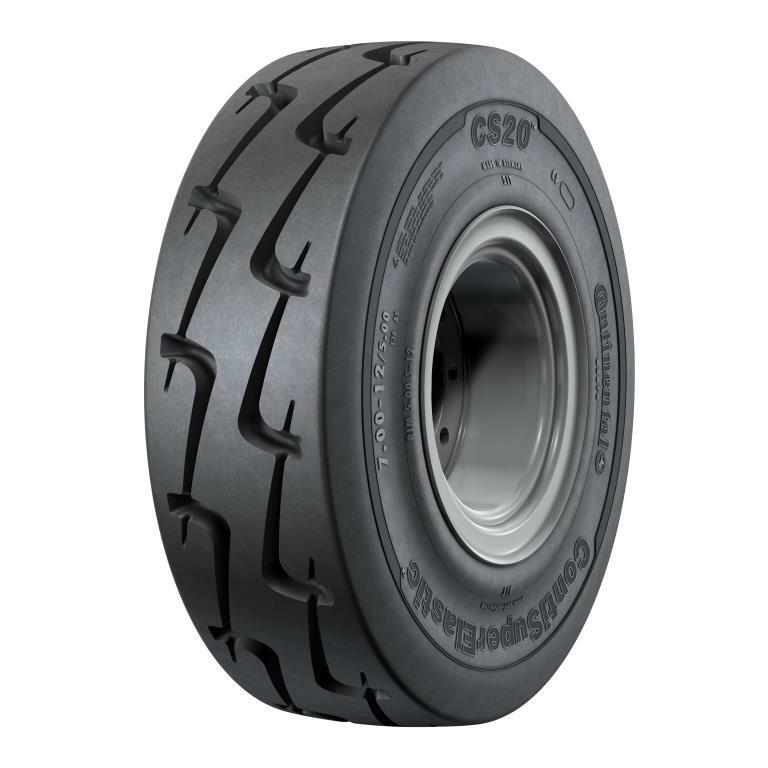 The Continental CS20 solid tire comes in the new dimensions of 6.00-9, 7.00-12 and 7.50-15 and is ideally suited for use on tow tractors at airports. 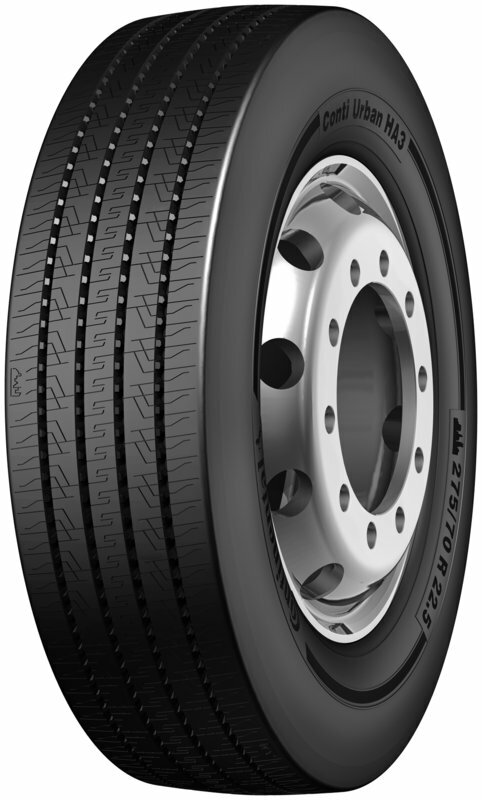 Continental CST will also be unveiling a new tire solution for freight and luggage trucks. Further details on the product will be announced at the beginning of the inter airport Europe. Continental Truck Tires will showcase the Conti Urban HA3 275/70 R 22.5 as an all-axle tire for buses as well as the drive-axle tire Conti Hybrid HD3 315/80 R 22.5, a truck tire with high mileage that can also be used on road tankers. The telematics solution comprising ContiPressureCheck™ and ContiFlexBox enables fleet management efficiency to be enhanced by collecting, making available and forwarding tire- and vehicle-referenced data. Whether it’s container transporters, service trucks, pushback tractors or buses for passenger transport, Continental offers international airlines and airports a complete range of tire solutions for ground-handling operations, covering industrial, car, truck and also MTP-tires. The company’s portfolio of specialty tires includes the Continental CS20 solid tire, which has been available in the new dimensions of 6.00-9, 7.00-12 and 7.50-15 since the first half of 2015. The solid tire is ideally suited for use on tractors. With its innovative double-L design, and its rounded groove contour, it offers excellent traction and a good self-cleaning capability. The closed shoulder design significantly reduces vibrations compared to tread block variants, resulting in a quieter and smoother ride. Cracks and heel-and-toe wear are downsized, thanks to the closed sidewall construction. The bus tyre Conti Urban HA3 275/70 R 22.5 guarantees high mileage and optimum driving safety all year round. With the Conti Urban HA3 275/70 R 22.5, Continental Truck Tires presents a special tire which can be fitted on all axles of the buses that are used at airports for transporting passengers between the terminal and the aircraft. This tire guarantees superb handling and excellent grip even on wet roads—ensuring the comfort and safety of passengers. It is also available as a Scandinavia winter tire. In addition Continental Truck Tires showcases the truck tire Conti Hybrid HD3 315/80 R 22.5, which can also be used as a reliable tire for the drive-axle of road tankers. The tire offers high mileage and especially good traction including during acceleration and braking in the wet. It features both the Mud + Snow (M+S) label and the Three Peak Mountain Snow Flake (3PMSF) symbol. 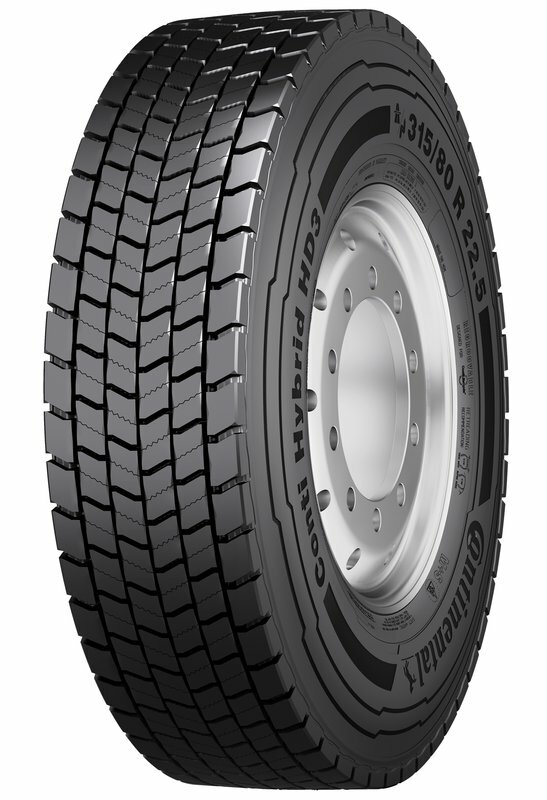 The truck tire Conti Hybrid HD3 315/80 R 22.5 offers especially high mileage and can be used on the drive axle of road tankers. As well as solid tires, Continental CST will be showcasing the new ContiFlexBox telematics solution, which has been developed for use on vehicles with pneumatic tires. 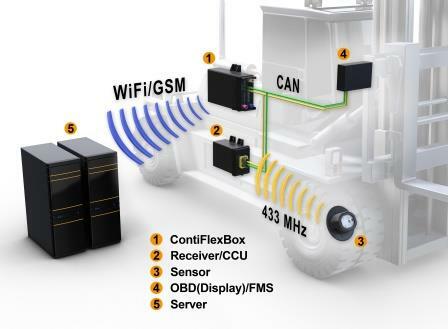 This system will complement the successful ContiPressureCheck™ tire-pressure-monitoring system, by collecting and deploying tire- and vehicle-referenced data, and forwarding it to a central server. Mounted in the driver’s cab of a vehicle, it supplements the ContiPressureCheck™ tire-pressure-monitoring system, which uses sensors inside the tires to automatically measure tire pressure and tire temperature. A GPS signal in the ContiFlexBox, moreover, enables further vehicle-referenced data like operating hours and current location to be measured. The information collected enables fleet managers to minimize the risk of tire damage and downtimes as well, and to reduce the outlay required for regular, time-intensive maintenance. Fleet efficiency can thus be upgraded, reducing operating costs and the environmental impact downsized, thanks to lower emissions of CO2 and a longer useful lifetime of the tires. Both technologies can be used in almost all vehicles for ground-handling operations. The combined system comprising ContiFlexBox and ContiPressureCheck™ will be available from 2016.